In the play “The Curious Incident of the Dog in the Night-Time”, the main character, a 15 year-old autistic child observes that the lights of the city of London, where he lives, obscure the stars in the sky. In the country, he says, you can see the stars. He explains that a star’s light takes 100 million years to reach us. It also means that by the time its light reaches us, the star has already died. He observes for himself that seeing stars makes him feel small but not negligible. He also observes that city lights obscure the stars and also any chance for self perspective. In Torah this week we read in Leviticus 19, “You shall be holy for the Lord your God is holy.” It’s a large mitzvah filled with great expectations. To be holy as God is holy is unreachable even if it’s a commandment. The rabbis knew it. They didn’t presume to be holy as God is holy, though they did teach that it’s appropriate to aspire to be humanly holy. What does it mean to be humanly holy. When the rabbis looked at the sky at night, they saw primarily the same array of stars we see. They saw God’s handiwork. Their evening prayers praised God for bringing on the evening. They were in awe. They were not made to feel small, rather they found meaning in being related to the vast array of stars. God created it all. Yet human beings, unlike stars, were uniquely commanded to aspire to being greater each day. The rabbis assumed that being human, though related to the vastness of God’s creations, held greater sway than the lights of the night’s sky for the very reason that we were sealed in a covenant with God, which we were conscience of and ready to respond to by means of mitzvot. Today, we know what a star is. We know what its light is, how long it takes to reach us, and how to quantify its place in the vast array of the universe. We are awed by all these human discoveries of space. It can humble us in the same way the rabbis were humbled by the distant lights they observed in the night’s sky every night. More than particles in space given definitions and explanations by astrophysicists and astronomers, they are part of a remarkable universe that still remains mostly undefined and certainly mostly unreachable. How can one not feel small before it? How can one not feel challenged to explore it and wonder what’s there and what it means? 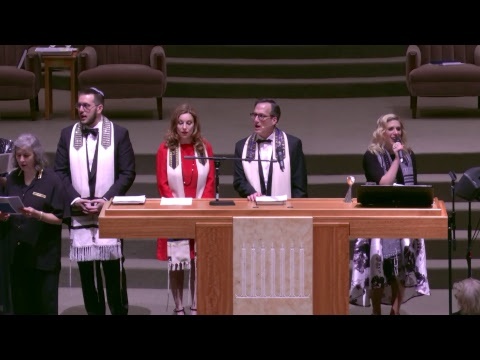 It’s a matter of science, for sure, but what it means to us is about faith, which calls on us, no differently than the rabbis of old, to stand in awe of it all. A major impediment are the city lights that obscure our view of the stars. My complaint isn’t about city lights. My concern is about our inability to look up and see something larger than ourselves. It gets in the way of appreciating that though we really are small and insignificant in time and space, we are not without meaning. Is it any wonder that Torah commanded us to be holy like God is holy. The Torah says reach! Reach for the stars in science and discover the wonders of the vastness of the universe. And reach for the stars as human beings commanded to find meaning in what we discover. Those of us who live in the city and have few opportunities to get to the country to see the lights are more prone to fail to see what is real. The stars really are far away in space and time. Our life, compared to the time it’s taken to see the stars’ light is truly short, but not without significance. We can stand in awe of the vastness of the universe around us, and find value in the time we have while we’re here to make a positive difference. We are not the stars of the world but we can reach for them. We are not the only wonder of the world but we are the only creation commanded to seize our sacred duty and participate in its glory.